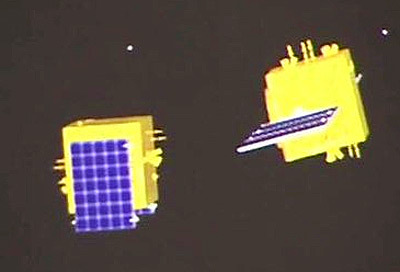 The Yaogan 32-01-01 and 32-02 (Remote Sensing Satellite-32-01-01 and 32-01-02) are Chinese military satellites of unknown purpose. The visualization during the launch hints towards SIGINT satellites. They were launched on 9 October 2018 on the maiden CZ-2C (3) YZ-1S rocket from Jiuquan. The designation hints, that more groups of Yaogan 32 satellites are planned to be launched.